♥ ✄ from age of 3 years! Torpan Tarinat® (registered trade mark in Finland) – Croft House Tales postcards tell a story about Finnish countryside and bring the feeling of Scandinavian country living close. Finnish nature, food and rural culture are unforgettable experiences. 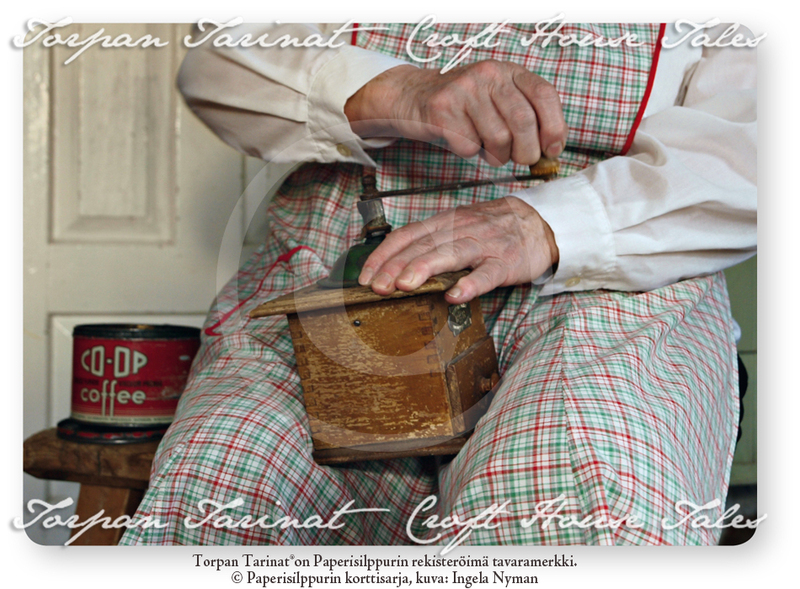 Some old Finnish habits are still a part of Finnish everyday life. 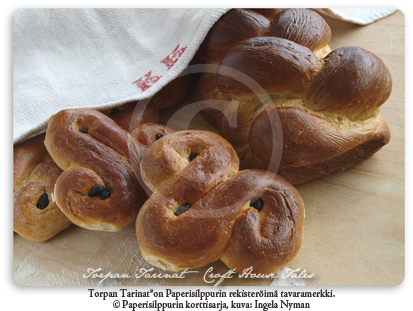 'Pulla', 'viili' and rye bread are unique tastes. Did you know, that Finnhorse is one of strongest horse breeds in the world? On the backside, you will find a short information about the photo in English and in Finnish. Croft House Tales postcards have found their friends and amazed people all around the world, especially among postcrossing hobbyists. In Finland, postcrossing is extremely famous and Finnish language is fascinating for many people. 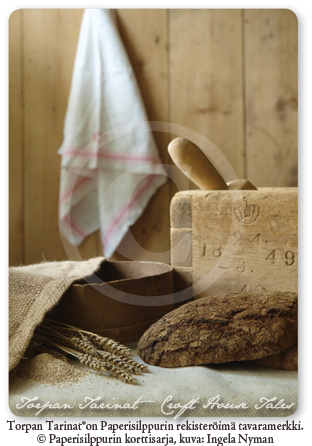 Many collectors like our postcards because of unique rural subjects shown in photos. 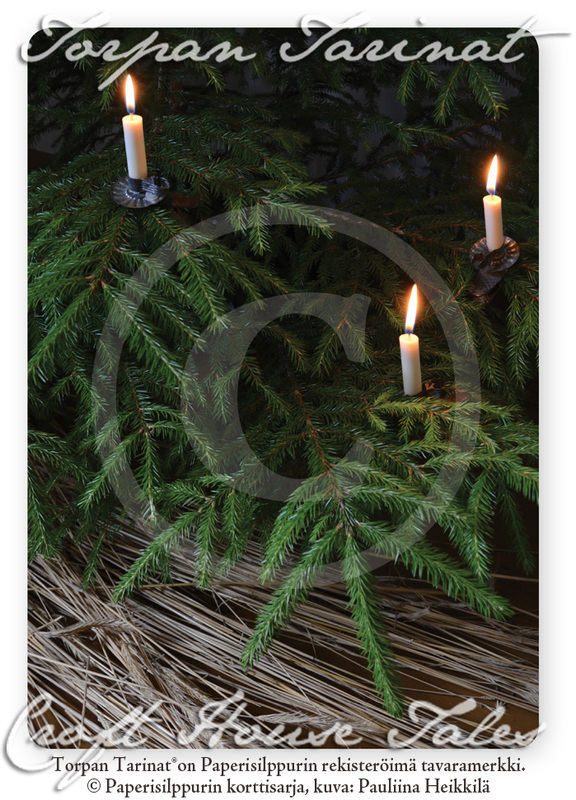 Many customers have bought our postcards to experience peace and harmony of traditional Finnish country living. Croft House Tales postcards are made locally and produced ecologically – a sustainable choice for your messages! Croft House Tales products introduce pure Finnish experience. 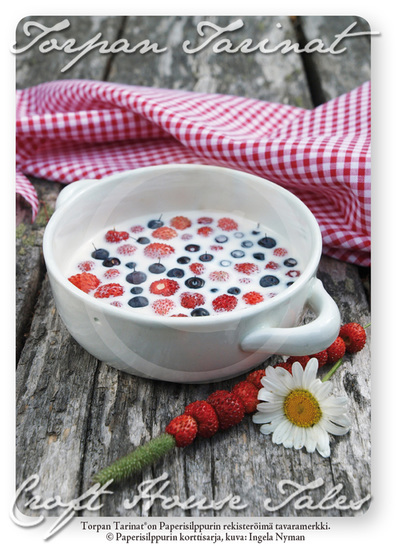 The postcards are printed on Finnish, FSC-certified carton. The postcards are made in Finland. As a guarantee of this, they have been awarded Finnish Key Flag trademark. Postcard serie will expand further as four seasons change with the rhythm of nature. 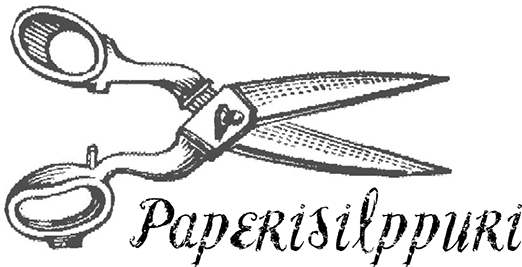 Finnish graphic designer Ms. Pauliina Heikkilä founded her company Paperisilppuri to share these experiences and moments from Finnish countryside. 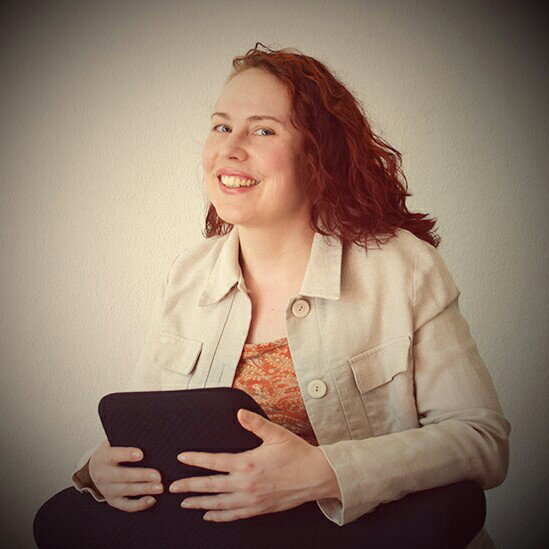 The roots of her products are strongly in a small farm, where Pauliinas great-grandfather Juho arrived by wagons pulled by oxs in 1800's. of Piu Pau Design Oy. Please visit to some of our resellers. 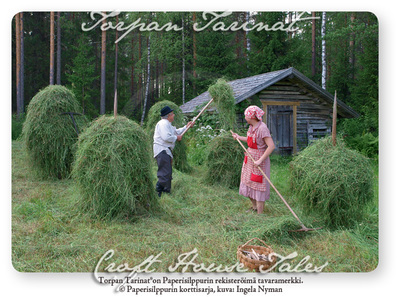 Especially Croft House Tales postcards introduce roots of the Finnish lifestyle and old Finnish habits. Croft House Tales postcards include things your grandparents might have lived once. These postcards are used by professionals to make memories alive among elderly people.